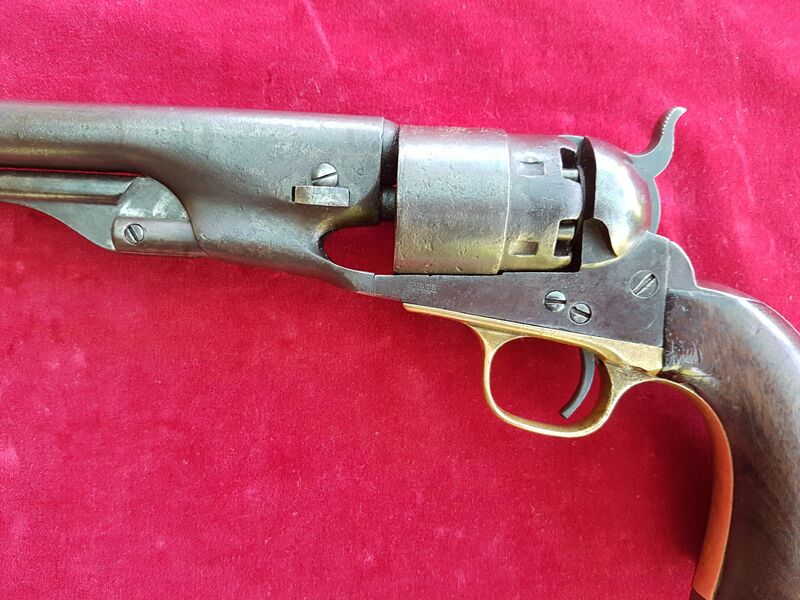 X X X SOLD X X X 44 calibre Colt Army 1860 model Percussion Revolver. Ref 1522. 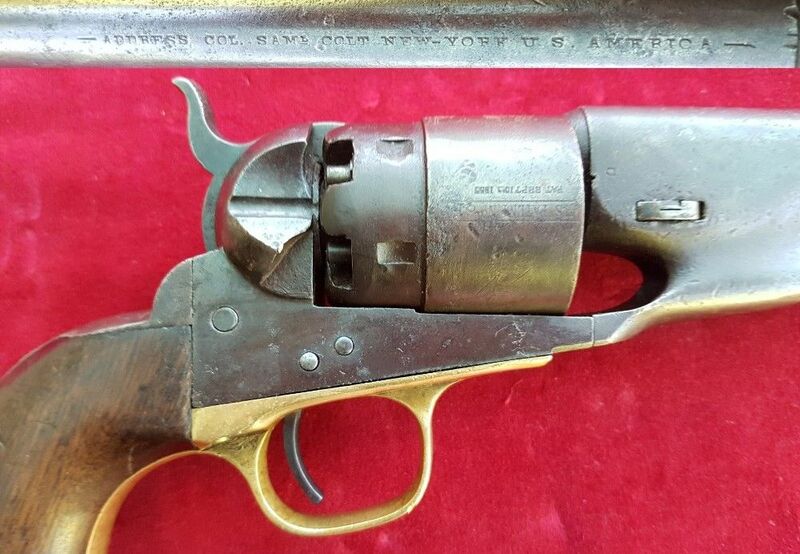 A good American Civil War era .44 calibre Colt Army 1860 model Percussion Revolver manufactured in 1863. 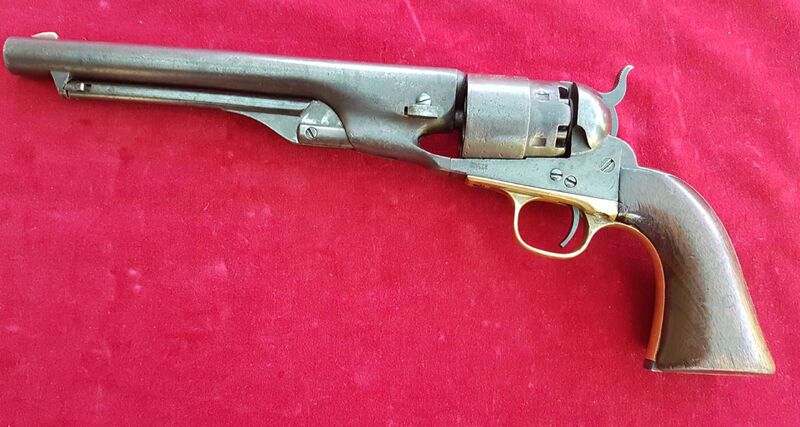 A genuine Colt Army percussion revolver that most probably saw use during the American civil war - 1861-1865. The side of frame is marked "Colts Patent". 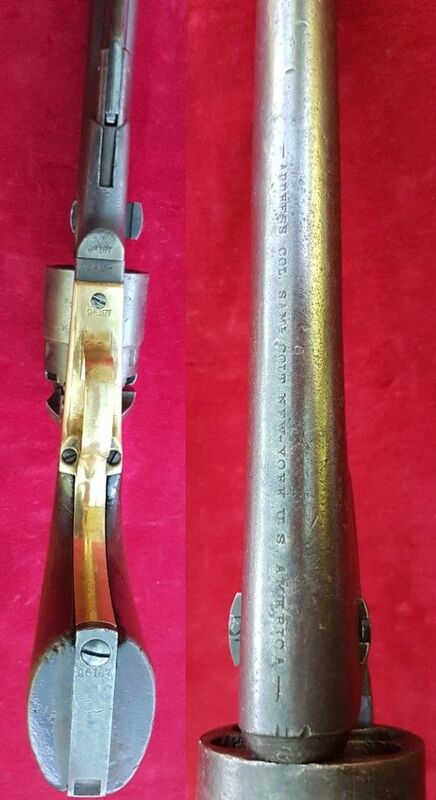 The 8 inch barrel marked ADDRESS COL. SAML COLT NEW YORK U.S. AMERICA. 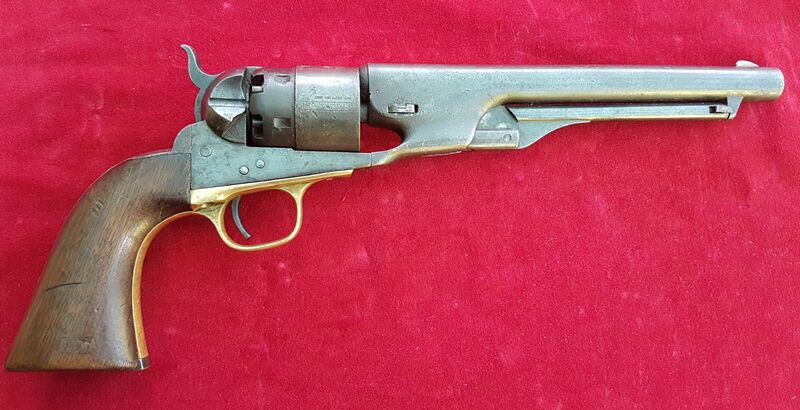 These famous revolvers were the main pistol carried by U.S. troops and where known to have been carried by both sides during the American Civil War circa 1861-1865. These revolvers also played an important part on the western frontier and were carried during the Indian wars. Overall length 14 inches. Matching serial numbers including the wedge. 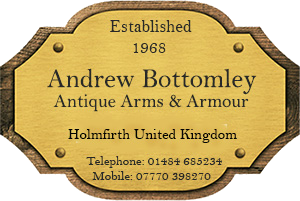 Good condition and the action in very crisp working condition showing some signs of genuine use. Ref 1522.